Whomp whomp. 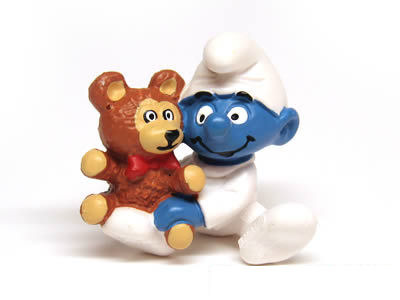 There're no Baby Smurf with Teddies for sale. Baby Smurf sits with a stuffed bear toy almost as big as Baby on one knee.